Testosterone enanthate - one of the varieties of esters of testosterone, which is widely used in medicine and in sports. It appeared in the mid of the 1950s in Western Europe and at that time was the only drug on the basis of the ether. 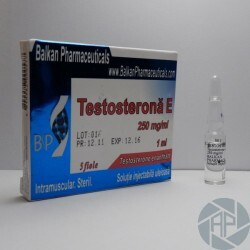 In medicine, used as the principal means for the treatment of low self-production of the hormone testosterone in men, the growth, and retarded development. The composite drug created by pure testosterone esters with the addition of substances, in this case of enanthate and different impurities. To date, the testosterone distributes both in pure form and in combination with many other materials, such as propionate, enanthate, and so on. The active ingredient of the drug tends to be absorbed into the bloodstream immediately, but gradually. This provides the additional benefits of an effect of long-acting and greater efficiency. It has pronounced anabolic properties. As mentioned the drug has a long term effect, so depending on physiological characteristics of which can last up to two weeks. The half-life of 6-7 days. The drug is recommended to take an athletes adults who do not have health problems and medical advice or be subjected to a medical examination. The medication is ideally suited to the combined courses, so it is recommended to take it in combination with other anabolic steroids. The most often is combined with anastrozole, tamoxifen, gonadotropin. It should not be forgotten, during therapy. It usually begins 2-3 weeks before the end of the course of treatment with the drug, and they are tamoxifen and clomiphene as the first medicines for admission to the process after the therapy. Treatments that are combined to not cause adverse effects in the body and therefore act with efficiency. The effective dose of the drug in the making begins with a mark of 250 mg. More exceptional athletes and received 500 and up to 750 mg per week. Therefore, many recommended a dose well established and tested. 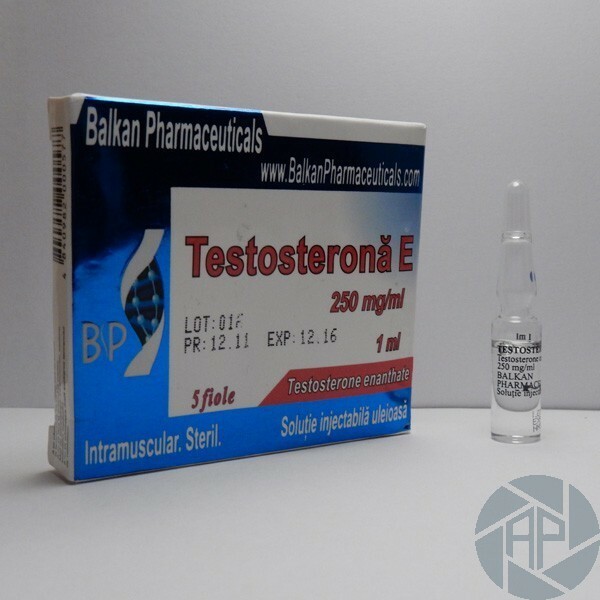 Includes about 500 mg of testosterone enanthate per week, plus 0.5 mg of anastrozole in a day. Anastrozole is also possible to replace such gonadotropin. A constant dose of testosterone, the dose would be around 250 mg twice a week. When using the drug tamoxifen during the course once the course of therapy, the dose is comprised between 10-20 mg per day. During the process of the combined, it must not exceed the permissible optimal dose, since different combinations of drugs with excess dosing may lead to side effects and overdose. The main and severe drug problem is its tendency to aromatization and conversion of the body to estrogen. As a result, undesirable effects such as Gynecomastia may develop. Phenomena such as edema, obesity are also available. This problem is resolved primarily due to the reception of the so-called anti-estrogen drugs. On the other hand, there is to say about the women who took the drug - kulturistkami. Not recommended for use in women, even in relatively small doses, as it can lead to the formation and the appearance of failure hormonal masculinization and women's health problems. The best solution is to replace counterparts in the drug safer and smoother.